McKenna Brown (La Costa Canyon) isn't just a cross country stud - she has serious ability on the track, too, and she competes actively during the winter season. In comparison to sprints and field events, distance runners seem to make up the bulk of the performances during the winter season. That makes sense for two reasons: cooler weather is favorable for endurance athletes but difficult for power athletes, and distance runners can use winter track meets as speed work during their year-round training. Let's take a look at the top returners in these events, who competed both indoors and in all-comers competition, and speculate on which boys and girls could emerge this season. Rylee Bowen (Sonoma Academy) won the "most traveled" award for the 2016 season, competing indoors in Seattle and then in New York. She leads all returners with a 4:50.22 full mile and a 10:47.71 two mile, and she also ran 2:19 for the 800. She was joined at the Armory by Kiley McCarthy (Carlsbad), who clocked an impressive 2:13.49 to rank 13th in the nation among 800 returners. Kelli Hines (Mission Viejo) and Rylee Penn (Centennial Corona) also had strong performances in true indoor competition. One other runner to keep an eye on: Niki Iyer (Harker) ran 10:02 for 3000 indoors at UW before going on to clock 10:24 for 3200 in the spring, and she might decide to explore the indoor season more fully this year. The top 3 finishers in the Winter Championships 3000 are back this season: Katharine Scoville (La Canada) edged out Evelyn Mandel (Great Oak), with Marisa Rodriguez (Indio) a few seconds back. Mandel has a strong cross country season in which she improved measurably, and Rodriguez completed her first XC campaign (which is sure to improve her on the track). Scoville is an unknown right now after a difficult cross country season, but she could be the most motivated of the three if she is healthy now. McKenna Brown (La Costa Canyon) leads all returners in the 1500 (where she finished 3rd in the Winter Championships) and the 800. Only Amanda Gehrich broke 5 minutes for the 1600 in outdoor competition during the 2016 winter; Mariah Castillo (Saugus) came the closest among returners, clocking 5:05. Ally Palomino (Bishop Amat) was the top 3200 runner in all-comers competition last winter, with Kaylee Thompson (Saugus) not far behind. First and foremost, we hope Kelli Hines and Katharine Scoville get back to full health after difficult cross country seasons. Our wish list for the indoor season includes 800 runners Alyssa Brewer (California) and Cathilyn Macintosh (Del Oro), who both have times that could compete on the national scene this winter. Macintosh came out of nowhere last spring, dropping from a PR of 2:18 to a 2:07.98 in the space of less than a month - who knows how fast she can run this season? We'd also love to see Olivia O'Keeffe (Davis) get in some indoor competition, but given how late the Davis XC season goes that might not be in the plan. Annie Boos (Claremont) is another runner that could compete nationally in the mile, and Erica Schroeder (San Marcos) definitely has the chops and experience to go head to head with just about anyone in the country in the mid-distances. Our potential sleeper pick for the winter is Sylvia Cruz-Albrecht (Oak Park), who made a huge leap forward during the spring of 2016 and then followed it with a strong cross country season. If she chooses to get on the track this winter (which she did do not last year), she will be a contender at the Winter Championships as well as a potential US top 25 runner indoors. We can also look at the top XC runners this past fall and wonder which of them might decide to take it up a notch during track season. For example, it's unlikely that Claudia Lane (Malibu) will compete in the winter after a fall season that extended into mid-December, but if she does we can expect her to do better than her 5:09 and 11:00 from last spring. 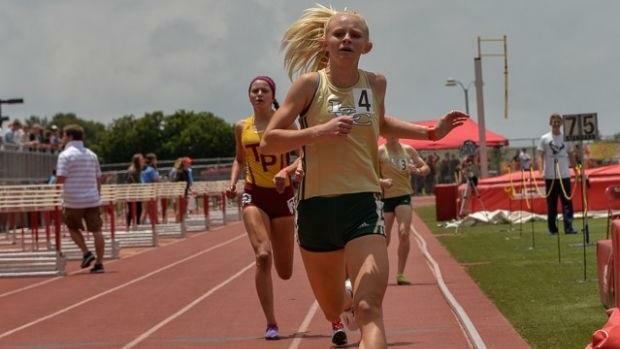 To me, Elizabeth Chittenden (Mira Costa) is an intriguing prospect this track season: her school does participate in the winter, she clocked 5:06 and 10:29 in the spring, and she showed real closing ability during her run to the state championship. Watch out for Jacquelyn Hill (Etiwanda) - after focusing on the 800 for several years, she ran her first cross country season this past fall, and that could help her make the leap to elite status in the mile. Finally, keep your eyes on a girl that always seems to go just under the radar, but is arguably the best runner in California that you don't already know: Valerie Almanza (Channel Islands). She made significant progress in cross country this past fall, after posting an impressive 10:30 in the spring, and she did run a few winter races last year.